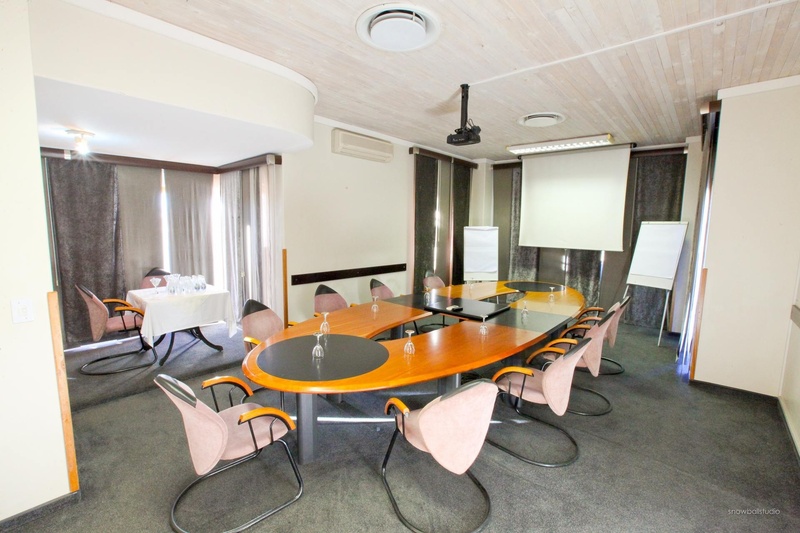 We offer two Conferencing Facilities ideal for launches, presentations, and business meetings. 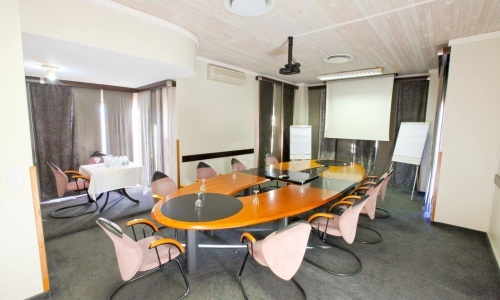 The boardroom is located centrally but private and can capacitate a maximum of 20 people around a fixed table. The Lapa is a rustic venue with Namibian style flair. It has a thached roof and is able to take a maximum of 80 delegates in different seating styles. Kindly note that we do not offer any facilities for weddings or events. Your small dinner or lunch function (max 30 pax) can be booked in the Restaurant or on the Terrace. We serve a set lunch with a choice of two mains and a dessert. Buffets will only be served for a minimum of 20 pax.